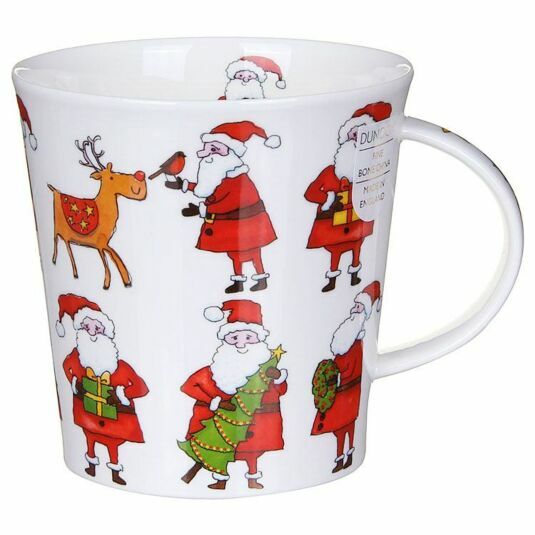 This wonderful Dunoon mug is decorated in twelve Santa illustrations, which are holding a Christmas tree, wreath or a present. There are also two drawings of reindeers, one being Rudolf. Presents and Christmas trees from the main illustration are also featured as a detail on the inner rim and handle. 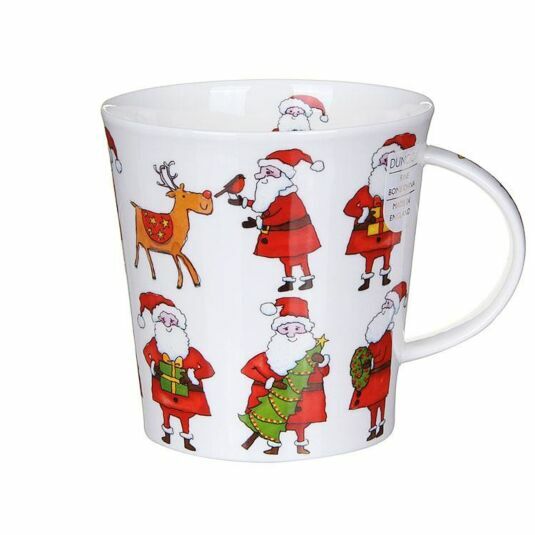 A bright fun and colourful mug to enjoy your warm drink in on those cold winter days.